The American Institute of Malta could start offering lectures this year even though the campus will only be complete in three years’ time, Economy Minister Chris Cardona said today. Speaking during a site visit to the campus along Bormla’s Dock 1, Dr Cardona said the project was staggered and students could start having lectures there in the coming months. Sadeen Group, who will operate the educational facility formally signed a contract for the project last March. Dr Cardona said works had then immediately started and were on track. 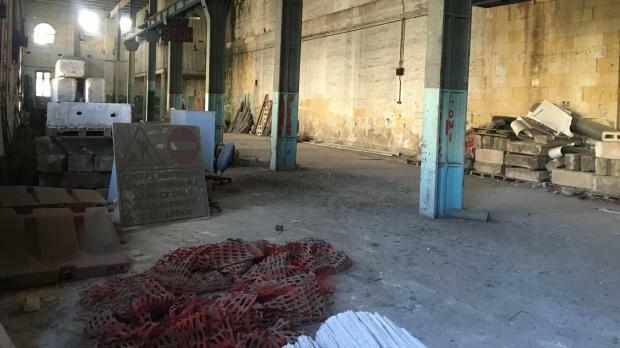 At this point the only permits issued were for restoration, however, Architect Edwin Mintoff, who is running the €50 million campus development project, said plenty of other applications were in the pipeline. The project had already experienced a slight delay due to the discovery of large amounts of asbestos which needed to be removed, he said. On the whole, however, he was confident that the project would stick with its three-year deadline. Asked why the project was still being referred to as an American University, even though the National Commission for Further and Higher Education had said it was to be called an institute, Dr Cardona said this was “a process”. “I have no doubt that this will be a University and not an institute. This is part of a process, but the project will result in a University,” he said. The campus will accommodate some 4,000 students in faculties of Engineering, IT, Communications and Science. It is expected to contribute €25 million to the economy annually and will create some 750 new jobs.